Head over to SeaWorld Orlando for a day's full of fun with our Earth's most amazing ocean creatures! SeaWorld has crafted an experience for you and your party that could be filled with rides, exhibits, animal encounters and shows! A variety of attractions will keep you entertained all day long. The best of what SeaWorld has to offer are through its exclusive park experiences that include up-close tours with either penguins, dolphins, sea lions and many more! Popular is their Dolphins Up-Close Tour where you can learn more about how the dolphins are cared for, learn how to train a dolphin and even touch one! Similar in popularity is the Sea Lions Up-Close Tour where you even get to feed and pose in a picture with one of these lovable ocean creatures! Growing in attendance is SeaWorld's ever so special Beluga Interaction. In a wetsuit, you will be able to get in the water with these beautiful and majestic sea mammals, touching and communicating with them! A memorable experience for sure. For those that are looking to experience a mirage of ocean creatures, check out the Marine Mammal Keeper Experience where you can learn about caring for sea lions, dolphins and beluga whales all in one package! A dream come true for some! Keeping guests entertained is what SeaWorld does best with 6 shows and 16 more seasonal shows (check website for details). Highly popular is the One Ocean show where guests will be entertained by killer whales (try the Soak Zone for a nice cool down!) performing their many talents. Popular with kids are the SeaLion shows such as Sea Lions Tonite and Clyde and Seamore Take Pirate Island - both of which showcase the amazing skills of SeaWorld's sealions! Last, there are many popular rides at SeaWorld for those looking for a thrill, large or small! A fun ride is Shamu Express which is popular with the younger ones for it's gentle roller coaster feel. An exciting water ride is the Journey to Atlantis that catapults you in to dark tunnels and shoots you through waters! The biggest thrill of all comes with the Manta - a one of a kind flying roller coaster that includes a head first nose dive and thrilling moves designed to keep your heart thumping! Get unlimited admission to SeaWorld Orlando for 12 months with no blockout dates, free general parking, exclusive rewards and discounts plus Aquatica Orlando for Free with this limited time offer. Get unlimited admission to SeaWorld Orlando and Busch Gardens Tampa Bay for 12 months with no blockout dates, free general parking plus exclusive rewards and discounts. Get unlimited admission to SeaWorld Orlando, Busch Gardens Tampa Bay and Aquatica Orlando for 12 months with no blockout dates, free general parking plus exclusive rewards and discounts. Unlimited admission to SeaWorld Orlando, Busch Gardens Tampa Bay, Aquatica Orlando, Adventure Island Tampa Bay + 7 other amazing parks for 12 months with no blockout dates, free general parking plus exclusive rewards and discounts. To view Sea World Orlando Regular Admission Tickets, other Specials and Coupons, go to their special page by clicking here. 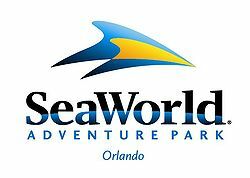 Sea World Orlando updates this page throughout the year, so check back to see if new specials and coupons have come in. Note to our visitors: Sea World Orlando Specials and Coupons can change without notice. So please visit their official website to make sure of the latest pricing and coupons.